What does energy work help with? Because we are based in energy, every molecule of us moves and vibrates. We are powered by energy from the electrical currents that power our heart and mind, to our more voluntary movements and motions. Streams of energy are flowing in and through us while powering our lives. When flow is interrupted, we can experience pain, dis-ease, disconnect, confusion, or a myriad of other symptoms. 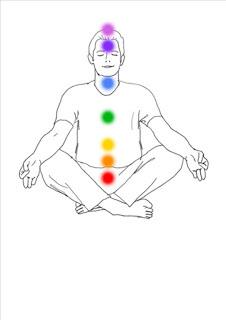 Energy work identifies and clears the blockages so proper energy flows, restoring homeostasis. This can be done in person or over distance. I can work independently and report back towards the end of your appointment time or have you on the phone with me during the entire hour long session. I do charge $30 an hour for my time for your first session. First sessions may last 90 minutes. Our bodies are MIRACLES! We are beings of divine nature that are programmed for healing. Lets work together to access and unlock healing. I use Christ-Centered Healing Modalities. Prayer is a huge part of what I do. The true source of light and healing comes from the Atonement of Jesus Christ. Do you have to be a believer to experience healing? NO, all mankind can be blessed by the light of Christ. I am merely a facilitator. All of my gifts, come form Him, including the ability to move and clear energies.